With a coastline of at least 20,000 kilometres, and most of the population living within 50 kilometres of the beach, it’s not too hard to work out why we are a ‘salt water’ people. Add to this the weather, the fact that most of our cities are near great swimming, surfing and deep water, and our strong record of producing world class athletes in water sports. But in the south east corner of the continent, where altitude and latitude combine to create the Australian Alps – a series of alpine ranges and high plateaus fringed by deep and fertile valleys – we have a great mountain environment. Stretching from the northern Snowies south and west almost to the fringes of Melbourne, people are drawn here, to live, play, and work. Tasmania is an island state, and despite the lower elevation and marine influence on weather, has some fantastic alpine country. Mountains are addictive. 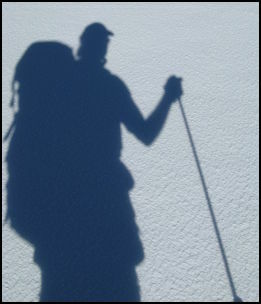 Many of us have life long affairs with alpine environments and they become a defining feature of who we are as people. This site is a celebration of this fact and the mountain cultures that exist in and around the Australian Alps. Since I was 15, I have been obsessed with the Australian mountains. In practical terms this has meant a lot of time out walking, ski touring, climbing, living, and occasionally working in the Alps. When I travel to places like the Rockies or Pacific Northwest in the ‘States, I have always enjoyed the mountain communities and sense you get of being in a special place. To me the Alps are incredibly special – and quite unique. There is a growing emphasis on mountain culture here in Australia as well – from a range of glossy magazines, to the tourism industry and it’s associated media outlets, to the outdoor press like Wild magazine, which has always reflected the love many of us have for our mountains. There are a range of local government and businesses that have an on-line presence. There are photographers, writers, poets, and all sorts of folks who contribute to this sense of place and culture. This project is just one more contribution to this creation and appreciation of mountain culture. Perhaps it’s particular niche is that it is non commercial, interested in telling the stories of people that often don’t get a run in the more mainstream outlets, and is focused on activism and simple life ways rather than just consumer ‘lifestyle’. It aims to cover environmental news and mountain-related stories in any form of arts or culture, and human-powered outdoor sports, mostly backcountry. Stories have a strong pro environment and pro climate action focus. Contributions of news, stories, photos, and video are very welcome. If its mountain related, then its relevant. Although this site is primarily about Australian mountains, anything that celebrates mountains or mountain culture from around the world is most welcome. Please email articles to me, ideally with a photo or two to go with the story (saved separately as JPEGs), a brief bio of you (a couple of sentances should be fine), and add whatever contact details you would like included with the article (eg your email address or website). The ‘brief’ of Mountain Journal is to report on ‘environment, news and culture‘ relevant to the Australian Alps. In recent years this has extended to coverage of Tasmania. This often means posting about the activities of businesses. Mountain Journal does not seek, or receive, financial or other support for posting materials, and coverage of the activities of any particular business venture does not imply endorsement. In terms of my affiliations, I work for Friends of the Earth Melbourne, I am a founding member of Mountain Sports Collective, and a member of the committee of Protect Our Winters Australia, and from time to time promote activities and events run by all these organisations. Love this site/blog Cam. Great work keep it up! –Is The Cobbler Rd suitable for two-wheel drive vehicles? Threw in the towel at that first gap (Wild Horse?) back in August. The Cobbler, snow-speckled and cloud-capped looked suitably mysterious, so am busting to return. –Blog protocol. Couldn’t help myself, gave the MCAV a real serve a few days ago on their flat-earthers ‘cow paddock’ blog. First it was headed up with the phrase ‘your comment awaits moderation’, then it disappeared. Fact; it contained no swearing, blaspememy, racism, homophobia etc. Can someone advise what the term ‘your comment awaits moderation’ involves? – re blog protocol. I reckon they are being a bunch of total wimps if they can’t cope with some differing opinions. On our pro-renewables site (http://yes2renewables.wordpress.com/ ) we often get angry/ dissenting posts, but as long as they aren’t, as you say, defamatory or homophobic, etc, we just approve them. If the mountain cattlemen can’t cope with differing opinions i would take that as a sign that they don’t think they are right, because they are clearly scared of being challenged. Strewth Cam, how do you find time for all this high quality work!? Well done! Thanks for the great posts. Keep on keeping on.